» Bank Jobs 2018 In June: Earn Up To INR 50 Lakhs! Bank Jobs 2018 In June: Earn Up To INR 50 Lakhs! Are you a bank job aspirant? Then, here are a number of jobs available for you to apply for. From IBPS to SBI, bank jobs are available through bank exams and other modes. The deadlines, posts and salaries differ according to different banks. Choose the most suitable one for you and apply right away. Read on to know more! Bank of Baroda (BOB) is hiring 600 Probationary Officers. The recruitment is through a 9-month course, after which students will be inducted as a PO. Check the information below to know the details. IBPS has opened vacancies for various posts. The salary package is attractive and bank job aspirants would not want to miss this opportunity. The selection process comprises of a written test, a group discussion round and an interview. Apply now! State Bank of India (SBI) is looking for Research Analysts with 5 to 10 years of work experience. The job location will be Mumbai and the selected candidates will have to perform qualitative and quantitative research. 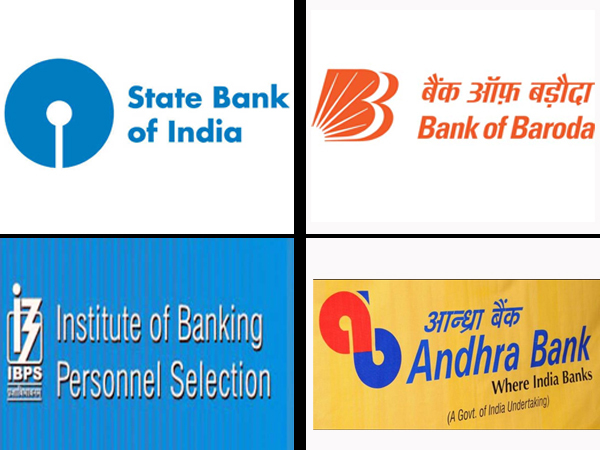 Andhra Bank has announced openings for the post of Sub-Staff. Freshers can apply for this post and earn up to industry standards. Here are what you need to know about the job! The Institute of Banking Personnel Selection (IBPS) has vacancies for 10190 officers.